I've been grinding through this album like crazy after being completely mesmerized by The Bends and even though it has now become a highly enjoyable experience for me...I'll still restrain from calling it a masterpiece of any sort. Radiohead continued pushing the boundaries of the alternative rock genre with their music and even though the shift between The Bends and OK Computer was not as prominent as that between the two previous releases, this was where the mainstream audiences suddenly decided to jump on the wagon. I guess that the combination of wide exposure on MTV and the enigma behind the band's intentions really intrigued people and once again made me believe in the idea that even the most obscure acts can become popular if they only get in tune with the society around them. This is also a very important theme on the album which seems to continue fascinate the audience even to this day. Just look at Porcupine Tree's Fear Of A Blank Planet that was released a whole decade later! OK Computer certainly has an interesting theme and quite a few memorable moments to back up that experience. Unfortunately I still don't see it as anything more than a very competent followup to The Bends. To me, it just doesn't come off as that perfect album experience that so many critics and fans have proclaimed it to be. It was that notion that repelled me from the album the first time I heard it and continued to do so even to this day. 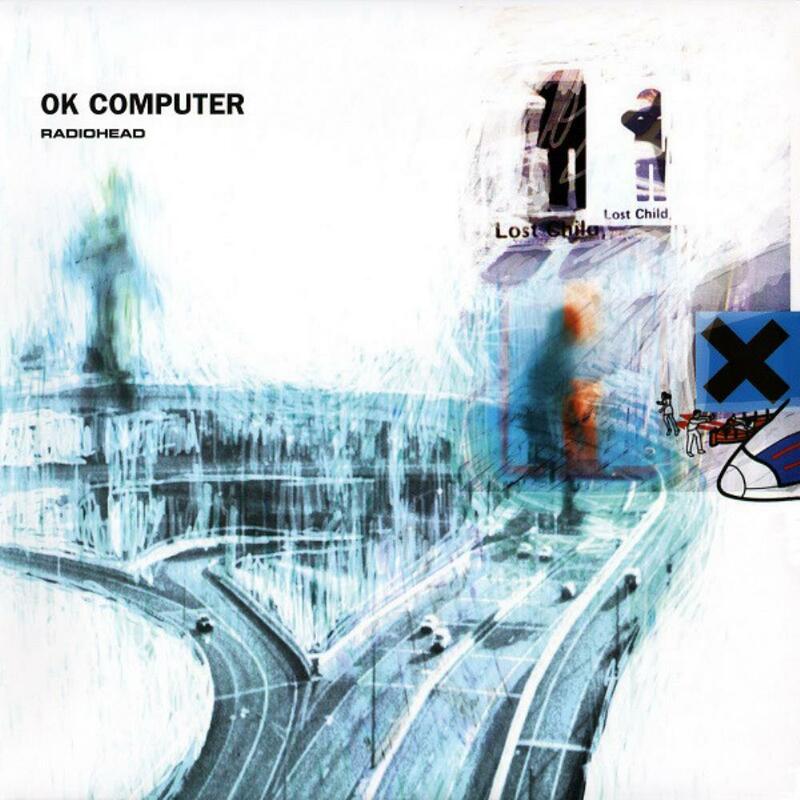 Even though it doesn't reach that same level of bliss for me as Radiohead's previous release, OK Computer is an important album and even my minor complains won't change that fact. This release also marks a sad moment when Radiohead pretty much reached to high point of their alternative rock career and had no way to go within the genre. What followed surprised even me, but more on that in my next review!